AMWUA would like to introduce you to your plumbing and simple ways to keep it working soundly. AMWUA's new Smart Home Water Guide website is designed to help both bumbling and handy homeowners find and fix leaks in kitchens and bathrooms, in irrigation systems and pools. If you understand the basics of your plumbing, you know what to do when it suddenly stops working or springs a leak. Leaks aren’t always obvious. A slow undetected leak can drain your budget. A bigger leak can go unnoticed until you receive a surprisingly high water bill. AMWUA’s 10 member cities have a secondary motive for encouraging homeowners to stop plumbing and irrigation leaks. The U.S. Environmental Protection Agency reports that the average household loses 10,000 gallons of water a year through unchecked leaks. That’s enough water to meet the needs of an average family for a month, and too much drinking water for a city to lose. The new website helps you find leaks using short and clearly illustrated lessons. It is built for mobile devices so you can carry the guide around your home and yard on a phone or tablet. The guide also allows you to check off steps as you complete them over the course of a day, a week or a month. Tell us how SmartHomeWaterGuide.org helped you @AMWUA #smartpig. 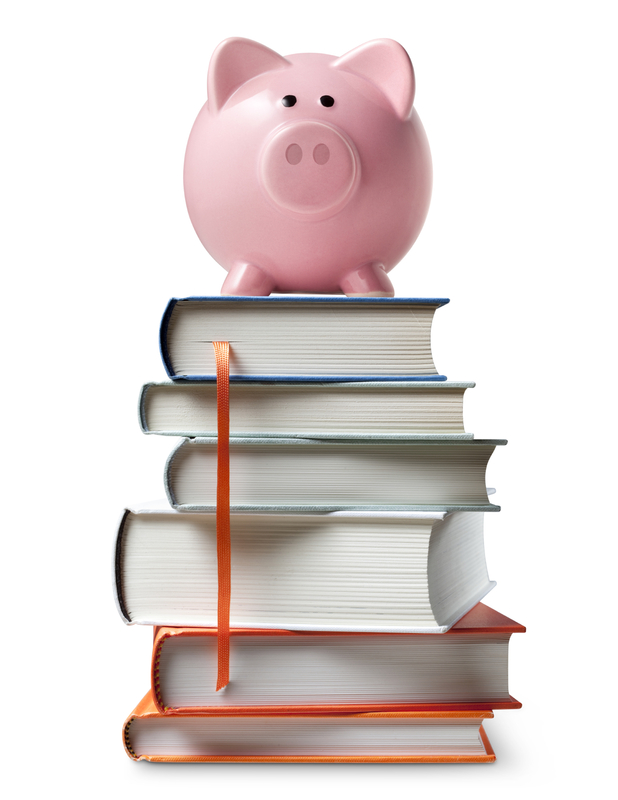 When you visit this new website, you will be greeted by the charming AMWUA Smart Pig. 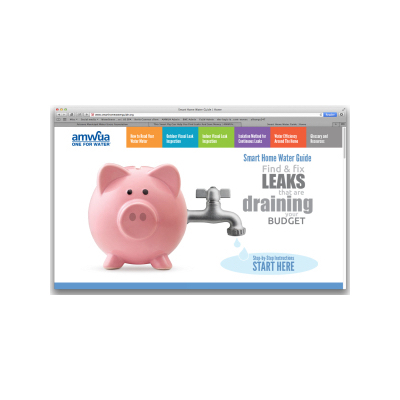 Unlike Miss Piggy, who is famous for her conspicuous consumption, the AMWUA Smart Pig is a conspicuous saver and serves as your guide on this tour of your plumbing. Developed by seven water conservation experts from AMWUA member cities, the website and its 24-page companion booklet translates these experts' experience, knowledge and methods into simple instructions anyone can understand. The booklet also will be available in Spanish by the end of the year. Both the website and booklet offer a glossary called Water Speak 101. It contains the vocabulary most often used by professionals in the industry, so homeowners are knowledgeable about the basics when explaining problems to plumbers and landscapers. You can receive a booklet by calling any AMWUA member city’s water conservations department. Contact information is at the bottom of the Smart Home Water Guide website's homepage. Water efficiency around the home. The AMWUA cities of Avondale, Chandler, Gilbert, Glendale, Goodyear, Mesa, Peoria, Phoenix, Scottsdale, and Tempe want to hear about your experiences using the guide to learn about your plumbing or to find a leak. Give us a Tweet @AMWUA #smartpig.